David Bateman’s new IRON Press book , SHTUM follows on two decades after we published Curse of the Killer Hedge,an anarchically funny collection of this Liverpool poet’s contemporary verse. 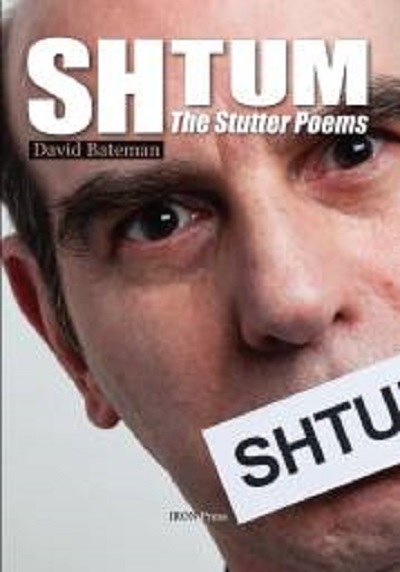 SHTUM has a more serious subject matter, the experiences of the life of a stutterer, but the poems are written with a wit and verve that never quite disguise how enlightening these punchy poems are. Harry Gallagher is a Cullercoats performance poet who appears regularly in many venues and runs the monthly Stanza poetry night at The Exchange, North Shields. The Blyth-based Shaw Clark Project are among the coast’s best loved artists.